I have difficulties using camera flash. The JET (S8000) supports a camera flash on and off. 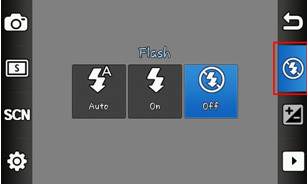 In addition, you can set a flash to work automatically. 1. While in Idle mode, tap Menu. 3. 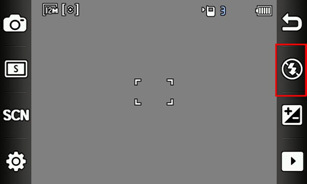 Touch the Flash button to select Flash mode. 4. Select a Flash mode you want.